I know, we ran one of these only a few weeks ago, but that was but a taste. 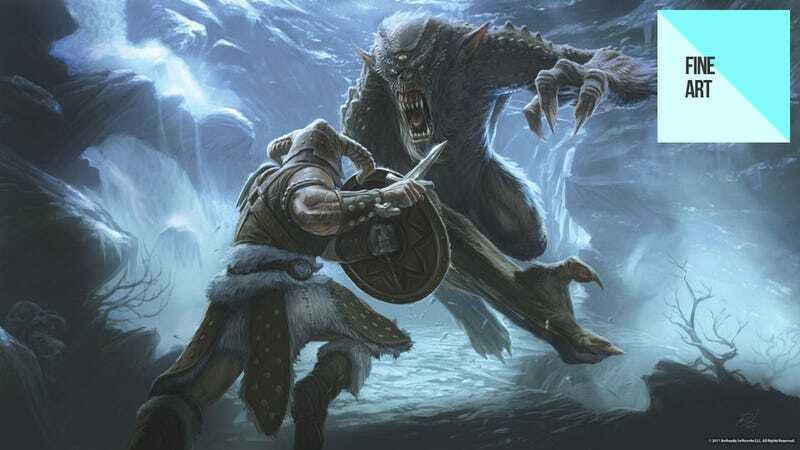 An appetiser for the main course that is today's bumper serving of Elder Scrolls V: Skyrim concept art. Which, now I'm talking about menus, even includes food. And soldiers, and bears, and monsters, and wolves. And harbours, and boats, and forges, and temples, and Elder Scrolls. Oh, and dragons. There be dragons as well. This stuff is the work of artist Ray Lederer, who has been toiling away on the game for around three years now. If you like his style, you can see more at his personal blog.